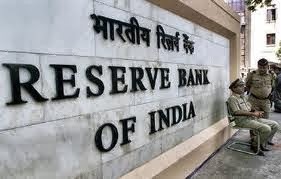 RBI governor has surprised to increase repo rate by 0.25 % in financial market after announcing these rate our share market drastically down while at opened.the current repo rate is at 7.50 % to 9.25 %. and reverse repo rate is 6.50%..and MSF(marginal standing facility) decrease by 0.75%. that mean is that it is rate in which a bank can borrow 1 % of their net demand in overnight. And the CRR is unchanged . The current CRR ratio is 4 % . India's retail inflation is around the double digit mark and headline inflation hit a 6 month hiked in August the BSE sensex has pull back from the days low traded lower side . We have seen the rupee is trade above 62 Rs per dollar . Mcx crude oil also fluctuate its price hikes by 105.60 per barrel in US . chemical attack has done by al asad group in syria again .the crude price gained today and not fluctuating very well. GET free trading tips today future trading price and technical view for tomorrow.!!!!!!!!! !